Ιστότοπος αφιερωμένος στα Μη Υποχρεωτικώς Συνταγογραφούμενα φάρμακα για τα οποία επιβάλλεται η Επιστημονική συμβουλή του Φαρμακοποιού και των Υπηρεσιών που προσφέρονται από το Ελληνικό Φαρμακείο. Ο Κώδικας ρυθμίζει την προώθηση στην αγορά όλων των υποκατάστατων του μητρικού γάλακτος (όχι μόνο του βρεφικού γάλακτος) και των σκευών της βρεφικής διατροφής. κάθε προϊόν που διατίθεται στην αγορά για τη βρεφική διατροφή των πρώτων έξι μηνών, είτε είναι κατάλληλο είτε όχι. κάθε προϊόν που διατίθεται στην αγορά για τη βρεφική διατροφή πέραν των έξι μηνών το οποίο αναπληρώνει το μητρικό γάλα στη διατροφή. κάθε είδος μπουκαλιού για το θηλασμό ή θηλής (η πιπίλα είναι θηλή). Απαγορεύεται η διαφήμιση όλων των υποκατάστατων του μητρικού γάλακτος (κάθε προϊόντος που διατίθεται στην αγορά ή αντιπροσωπεύεται σε αντικατάσταση του μητρικού γάλακτος), των μπουκαλιών θηλασμού και των θηλών. Απαγορεύονται τα δωρεάν δείγματα ή η δωρεάν ή με χαμηλή τιμή τροφοδοσία. Απαγορεύεται η προώθηση προϊόντων στις υγειονομικές υπηρεσίες ή μέσω αυτών. Απαγορεύεται η επαφή του προσωπικού προώθησης των προϊόντων με τις μητέρες (συμπεριλαμβανομένου του υγειονομικού προσωπικού που πληρώνεται από την εταιρία για να συμβουλεύσει ή να διδάξει). Απαγορεύονται τα δώρα ή τα προσωπικά δείγματα σε εργαζόμενους υγείας ή στις οικογένειές τους. Οι ετικέτες πρέπει να είναι γραμμένες στην κατάλληλη γλώσσα και να μην έχουν λέξεις ή εικόνες που εξιδανικεύουν τον τεχνητό θηλασμό. Μόνο επιστημονική και τεκμηριωμένη πληροφόρηση να δίνεται στους εργαζόμενους υγείας. Οι κυβερνήσεις οφείλουν να διασφαλίσουν ότι παρέχεται αντικειμενική και συνεπής πληροφόρηση σε θέματα βρεφικής και νηπιακής διατροφής. Κάθε πληροφορία σχετική με την τεχνητή βρεφική διατροφή πρέπει να εξηγεί με σαφήνεια τα πλεονεκτήματα του μητρικού θηλασμού, να προειδοποιεί για τις επιβαρύνσεις και τους κινδύνους που σχετίζονται με τον τεχνητό θηλασμό. Ακατάλληλα προϊόντα, όπως το συμπυκνωμένο ζαχαρούχο γάλα, δεν επιτρέπεται να διαφημίζονται για βρέφη. Όλα τα προϊόντα πρέπει να είναι άριστης ποιότητας και να λαμβάνονται υπ' όψη οι κλιματολογικές και αποθηκευτικές συνθήκες στη χώρα όπου προορίζονται να χρησιμοποιηθούν. Κατασκευαστές και διανεμητές οφείλουν να συμμορφώνονται με τον Κώδικα (και τις μεταγενέστερες αποφάσεις της WHA), ανεξάρτητα από τις κυβερνητικές ενέργειες για την εφαρμογή του. A syndrome of delayed nutritional development at preschool age has to be defined and described.In our paediatric office we have seen many parents of infants, toddlers and preschoolers complaining that their 3-year-old son “doesn’t eat anything” or “barely eats” or that “he doesn’t know how to use the fork and spoon” or that “ every feeding is a battle full of crying and shouting”, “he only eats pureed food”, and many more confesses that reveal that toddler’s nutritional development, although it is often a major source of stress and anxiety for parents, it is at the same time the most unknown, neglected and misunderstood section of our child’s psychomotor development. This syndrome can often be met in greek families, and involves babies and toddlers after their first few months, at the age of solid food introduction and there after. One could also name it “inadequate weaning” or even “developmental stagnation in relation to food and nutrition. There are babies that have never been let to play with new types of food, with various tastes, with different texture or composition of food, various colours and shapes, babies whose diet is consisted of milk or “special milk drinks for toddlers” either solely or predominantly by two/thirds up until the age of 12 months or 2 years or children that are still feeding on pureed food at the age of four. In other developmental sections, the fine motor one for instance, we struggle and do everything possible to help our child the right way, we buy him proper toys, adjust our home and his environment accordingly etc. In the “feeding” section of psychomotor development, we stress a lot, often for the wrong reasons. We worry that our little one didn’t finish his food during one lunch, while our main concern should be the maturity and independence of our child in the process of lunch on the long term. Our anxiety over the plate that doesn’t empty becomes a prohibiting factor that hurts irrevocably what should be our main/primary concern in the long run. We shouldn’t get to the Day Care or nursery with our three-year-old passively opening his mouth for his feeding of pureed food in order to realize there is a problem in his nutritional development. We need to realize that nutrition requires skills that are cultivated and achieved by the child in early days, with the guidance and encouragement of the parents, as it happens with every other single skill a young child achieves. 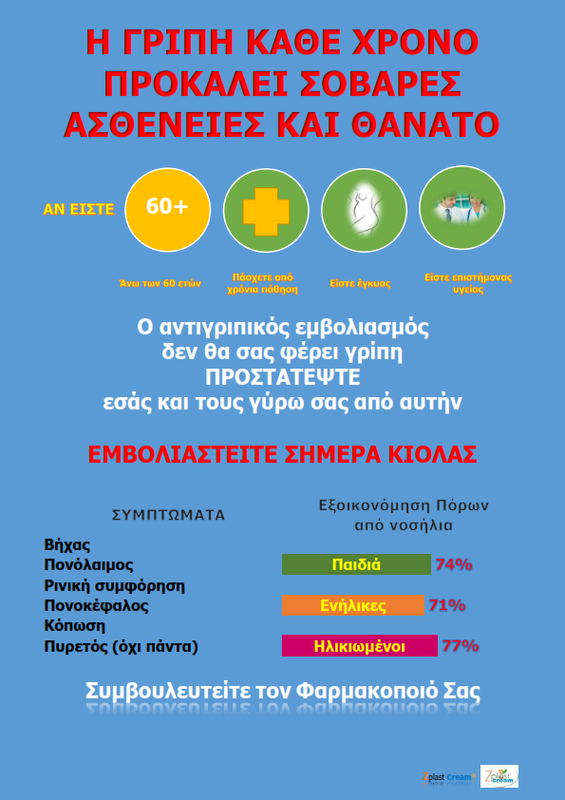 Delayed nutritional development of preschool children is quite common in Greek families, according to our experience. It is possible that it affects, in variable extent and combinations of clinical outcomes, about a third of children between the ages of 1 and 6 years. There can be a variety of clinical manifestations, that are usually linked and have causal and temporal associations between them. Feeding bottles for many of these children comprise the main means of receiving fluids even after the age of 12 months. They can get milk, water, tea or juice from a feeding bottle at the ages of 1 to 6 years. At the same time, their ability to receive fluids from an open cup has not developed and remains limited, as it can be with other ways of receiving fluid (ie straw), and that is because of lack of systematic training and accommodation with these more mature ways of drinking. A relevant manifestation is use of a feeding bottle with milk or other fluid during the night. Drinking milk during the night after the first year of life, for children not breastfeeding, is not necessary and can be a harmful habit. In part due to the way of drinking fluids – with a feeding bottle, so milk flow is unrestricted and fast and children get in large quantities in a short period of time – , many of these children overconsume quantities of milk over the age of one year. During preschool age, consumptionof diary products is essential, but shouldn’t be predominant, as the consumption of complex carbohydrates from starch and other sources gradually comes to the first place of importance for their needs. Children with the syndrome tend to consume much more diary than the 300 to 500ml of milk (or equivalent) per 24 hrs usually recommended, and some of them go usually over one litre per day even at the age of 3 or 4. This can have a negative impact on establishing a balanced diet and on consuming a variety of foods from other food categories. Particularly if they are received via a feeding bottle, fruit juices are consumed in large quantities by many of these children.AmericanAcademyof Pediatrics recommends that consumption of juice or other fizy drinks and sugary drinks be limited to not more that 100ml per day. Many children with delayed nutritional development continue to receive enhanced, processed milks in powder form far away after the first year of life, even coming to school age and elementary school. There is no evidence that these drinks are necessary for every child at this age, particularly if the child has a normal diet and consumption of solid food, with variety and ingestion of all food categories. Not only their usefullness has yet ot be proved, but, in addition, they can accommodate the small child to the sweet taste of extra simple sugars and sweetening factor they contain (ie vanilla). The child can get used to strong and monotonous taste, overconsumption of diary products is likely to become a problem and it becomes difficult for the child to move on to fresh milk. We argue that, in many cases, it is this overconsumption of enhanced milk drinks that causes poor diet of other foods for the child, and not the opposite usually claimed by the manufacturers of these products (poor diet as a reason for giving enhanced milk to the child). Together with over-reliance on feeding bottles, many children develop an exaggerated dependence on non-nutritive sucking on dummies during preschool age. They can use it for many hours during the day and at play time or they may have prolonged biting of their thumb. This is usually a result of no breastfeeding or premature weaning from the breast, resulting in stagnation on poorer substitutes of non-nutritive sucking. Pureed and mashed food are frequently used at the start of introducing solid foods, around six months of age, as a temporary stage that would be helpful to give way by the age of 12 to 18 months to a stage of consumption of not mashed food, small pieces of soft finger foods picked up by the child with the help from its parents. Over the last few years there has been substantial research over the safety and benefits of baby-led weaning, a way of weaning that doesn’t involve the usual initial step of mashing the food. It is documented that foods like fruits processed as pureed tend to loose much of their minerals and vitamins compared to being eaten whole. Many children of preschool age display a stagnation in development of their ability to handle texture and form in their food. They stay solely or mainly on pureed foods even after the age of 18 months and they seem unable to consume anything more solid and shaped in texture. Thus they can fall behind on taste stimuli and food variety, while at the same time they tend to overconsume larger quantities of food per 24 hours, because consumption of a pureed food – a less dense, watery composition – is usually larger in quantity compared to consumption of whole pieces of the same food – a more dense, less watery option. This type of stagnation has in part a link with the fear many parents inGreeceexpress at the idea of offering their child pieces of whole food that their child might choke. In contrast, research has shown that the transition from drinks and mashed food to shaped food is a necessary developmental stage that occurs at a certain timeframe of age – a critical window of opportunity. This transition has to be encouraged by the parent earlier than 9 months and at most by the age of 18 months, keeping the necessary precautions to prevent their child from choking. The habit of eating breakfast, with a variety of foods -(whole grain foods, diary, fruits fresh and dried, juice, honey etc) – is an essential one for good eating habits that last for a lifetime. It should be introduced at least by the age of one and over. In contrast, many children with delayed nutritional development have not been trained to sit at the table every morning with their parents even at school age, but many depend for their start of the day exclusively on milk, usually via a feeding bottle. A feeding bottle of milk is not breakfast and cannot substitute breakfast. It has to be replaced from late infancy with a full and variable breakfast, that can include jogurt, chees or fresh milk from the age of one. The age of 6 to 18 months – introduction of solids – comprises a critical window of opportunity in every child’s nutritional development, in order to taste a variety of different foods. It has been suggested that every child needs an exposure to a certain taste (for example spinach) for on average 15 times to get used and eventually like the taste. If this window of opportunity gets lost, the introduction of new tasted and foods in the child’s diet can be come a difficult task when it comes to toddler age (2-3 years of age). Many children with delayed nutritional development rely at the ages of solid food introduction (6 to 18 months) almost exclusively on ready made pureed processed commercial food for babies, foods that have a monotonous and homogenous sweet taste and blunt texture. They haven’t been exposed to many of the fresh fruits and vegetables a green groccers’ shop can sell, they are prevented from eating food categories like fish and eggs until after the age of one without any scientific evidence to support such practice, and so they depend their diet during preschool age on very restricted range of tastes, resisting changes and introduction of new or healthy foods (neophobia) and not eating family food together with their parents. Part of the problem is the premature addiction of this children and almost predominant adherence of these children to processed, sweet, blunt, ready products for infants and toddlers. The child with normal nutritional development is encouraged to show initiative in its behaviour during meal times, in relation to the way of managing its food. The child gradually is encouraged to develop skills and manual dexterity in handling a spoon, grasping and playing with his food using his hands freely. He is permitted to make small choices on which finger foods to choose from the available ones in front of him, and he is encouraged to handle a cup effectively to drink water. Children with delayed nutritional development can excibit a “bird” behaviour at meal times, with passivity and lack of initiative. Like feeding a bird in a nest, some of these children at the age of two years or more will remain completely still, with no interested in handling food or spoon, just opening their mouth periodically at the spoon that their mother puts in their mouth. The role of the parent in nutritional development is to empower the child and foster an appropriate supportive environment in order to help the child discover its innate potential, its growing abilities and help the child gradually become independent. Research has shown that it is essential for an infant to be fed according to its needs and on demand, so that it can be help to realise its cycle of hunger and satiety. It is also essential for a normal infant to be let to define its needs in relation to the quantities of food that it needs and in relation to the frequency of food consumption, depending on its particular needs, its temperament and without major external enforcement. Exclusive breastfeeding on infant cues is known to be the best way of infant nutrition. In contrast, if we defy the needs of an infant and set up arbitrary and defined by the parent times of feeding and set quantities, we encourage the child to stop listening to its body and its particular every day needs. The centre of hunger and satiety can then be severely underdeveloped. Many of the children with delayed nutritional development have suppressed instead of matured their ability to define when and how much to eat, and when they are really full. Bottle fed babies have been shown to be at risk of overeating on the bottle and not stopping drinking when they are full, because of the unrestricted fast milk flow in the feeding bottle. This suppression and inability to realize and respond to the function of hunger and satiety represents a developmental stagnation that predisposes the child in the long term to feeding disorders and weight disorders, such as obesity, anorexia nervosa and bulimia. The cranial bones and the face of a child continue to form and shape even after birth. The environment, according to epigenetics, with its daily stimuli posed on the mouth and daily forces posed on the cranial bones, have a significant effect on the formation of human face until at least the age of 4 years. The individual characteristics of our face have been shaped partly from the genes of our ancestors, but furthermore from the way of eating and the habits that we developed over the critical first years of life. The child’s teeth are frequently and sometimes severely affected with caries. The child develops obstructive sleep apnea, tends to snore and have his oxygen saturation fall during the night. Significant obstructive sleep apnea can affect intellectual performance during the day, performance at school, mood, cardiac function, and can be a cause of hyperactivity during the day. The above, combined with the obesity that tends to accompany many children who drink excessive and/ or prolonged amounts of milk via a feeding bottle result to an explosive mixture of premature health problems. As a result of being in prolonged and daily dependence on dummies and feeding bottles, the child with delayed nutritional development can also be at an increased risk of speech problems. As a result of a combination of risk factors (overconsumption of milk and diary, overdependence on large amounts of mashed food, no breastfeeding, adherence to enhanced and processed milk drinks and not on fresh table food, restricted maturation of hunger and satiety thresholds), children with delayed nutritional development are at risk of being obese or overweight during infancy, preschool and/ or school age. Childhood obesity represents a serious global epidemic with multiple, short-term and long-term consequences for the child, and with significant risk of persisting or relapsing over teenage or adult years. Children at preschool age who consume large quantities of dairy products and have a limited range of consumption of fresh, unprocessed, rich in minerals table foods are at increased risk of having iron deficiency and iron deficiency anaemia, which in turn has been linked to a number of health problems, such as persistent anorexia, delayed psychomotor development and increased sensitivity to infections. Many of these children are overweight or obese. With or without significant family history, children of preschool age with delayed nutritional development are at risk of developing a less favorable lipidaemic profil, with increase in LDL or decreased HDL or increased cholesterol or triglycerides. No breastfeeding, formula feeding, high consumption of dairy products can increase the chance of premature atherosclerosis in future years, via altering metabolic programming in the early years. A dramatic reduction of intake of diary products and “special” milk drinks may frequently show a positive effect on the lipidaemic profil of the child. A significant proportion of time in the day of a baby and a toddler has to do with eating. This is a time when fine motor skills are practiced while handling food, spoon and forks and getting these effectively into the mouth. These hours are valuable for the maturation of hand dexterity and hand – eye – mouth co-ordination. A small child that never takes initiative at meal times and doesn’t explore food with its hands can be at risk of lacking a significant daily exercise that may have negative consequences not only in the development of independent skills at the table, but even more generally on general skills in handling and reacting with objects using its hands and sight. At the other end of the spectrum, children that breastfeed exclusively for the first six months and go on to continue breastfeeding for at least two years – the recommendation of the World Health Organization – may be more likely to become children with around, symmetric face, with a nicely closing mouth. Breastfeeding is the norm in infant and young child feeding and helps to develop the right way of sucking and swallowing. It contributes to the proper maturation of the muscles that are involved around the mouth and the jaw. Lactation reduces the chance of obstructive sleep apnea and infections. Long-term breastfeeding may prevent development of bad oral habits, such as thumb sucking and prolonged use of dummies, while keeping the child away from the risks of bottle feeding and of formula feeding. Breastfeeding enhances normal maturation of hunger and satiety cycles from the first days of life, and breastfeeding on infant cues gives to the infant the control on its body and on food intake. Furthermore, breast milk may help an infant to cultivate its taste, because it has a different taste at any time and foods consumed by the mother are translated into variable tastes of breast milk. Unrestricted breastfeeding according to hunger and satiety cues is the best way to ensure normal nutritional development, realization of bodily needs for the infant and toddler and of its real needs for food. Finally breastfeeding, as recommended by the WHO is proved to lower the risk of obesity and relevant complications. A breastfed infant doesn’t usually need to be introduced to a feeding bottle at any time, particularly after the first six months. Bottle – fed infants need to be promptly trained in using other means of drinking fluids and should be encourage to stop the use of feeding bottles by the age of 12 months. Discontinuation of the use of dummies, particularly during the day, at playtimes and after the first 12 months of life. Delayed nutritional development is a chronic, complex condition that demands multi-level management and follow-up. It is likely that positive changes are better made as smoothly and as gradually as possible and as early as possible, before the transition to toddlerhood, when changes in eating behavior can be difficult. As for all chronic diseases, realization of the situation, commitment and cooperation from the part of the parents is essential. Health professional should better take a multi-disciplinary approach, that may include the paediatrician, the dietician, the child psychologist, the lactation consultant. In some cases and under certain conditions nutritional development can be improved at the nursery. In other cases re-lactation can be a reasonable option. Routine follow up is an essential part of management and is used to assess progression in nutritional development, compliance, encouragement to the child and the parents and the occurrence of complications. 1. Carrascoza KC et al. Consequences of bottle-feeding to the oral facial development of initially breastfed children. J Pediatr (Rio J). 2006;82(5):395-7. 2. Στέλιος Παπαβέντσης. Επιστροφή στο μητρικό θηλασμό. Εκδόσεις Πατάκη, Αθήνα 2011, υπό έκδοση. 3. Στέλιος Παπαβέντσης. Προικισμένα μωρά εμπνευσμένοι γονείς: για μια άλλη προσχολική διατροφή. Εκδόσεις Πατάκη, Αθήνα 2010. 4. de Holanda AL et al. Relationship between breast- and bottle-feeding and non-nutritive sucking habits. Oral Health Prev Dent. 2009;7(4):331-7. 5. Barbosa C et al. The relationship of bottle feeding and other sucking behaviors with speech disorder in Patagonian preschoolers. BMC Pediatr. 2009;9:66. 6. Viggiano D et al. Breast feeding, bottle feeding, and non-nutritive sucking; effects on occlusion in deciduous dentition. Arch Dis Child. 2004;89(12):1121-3. 7. Sánchez-Molins M et al. Comparative study of the craniofacial growth depending on the type of lactation received. Eur J Paediatr Dent. 2010;11(2):87-92. 8. Montgomery-Downs HE et al. Infant-Feeding Methods and Childhood Sleep-Disordered Breathing. Pediatrics 2007; 120: 1030 – 1035. 9. Palmer B. Snoring and sleep apnoea: how it can be prevented in childhood. Breastfeed Rev. 2006;14(2):11- 14. 10. Moimaz SA et al. Association between breast-feeding practices and sucking habits: a cross-sectional study of children in their first year of life. J Indian Soc Pedod Prev Dent. 2008;26(3):102-6. 11. Robke FJ et al. Effects of nursing bottle misuse on oral health. Prevalence of caries, tooth malalignments and malocclusions in North-German preschool children. J Orofac Orthop. 2008;69(1):5-19. 12. Raymond JL et al. Influence of feeding method on maxillofacial development. Orthod Fr. 2006;77(1):101-3. 13. Mohebbi SZ et al. Feeding habits as determinants of early childhood caries in a population where prolonged breastfeeding is the norm. Community Dent Oral Epidemiol. 2008;36(4):363-9. 14. Carrascoza KC et al. Consequences of bottle-feeding to the oral facial development of initially breastfed children. J Pediatr (Rio J). 2006;82(5):395-7. 15. Romero CC et al. . Breastfeeding and non-nutritive sucking patterns related to the prevalence of anterior open bite in primary dentition. J Appl Oral Sci. 2011 Apr;19(2):161-8. 18. Linardakis M et al. Sugar-added beverages consumption among kindergarten children of Crete: effects on nutritional status and risk of obesity. BMC Public Health. 2008 Aug 6;8:279. 23. Coulthard H et al. Delayed introduction of lumpy foods to children during the complementary feeding period affects child’s food acceptance and feeding at 7 years of age. Matern Child Nutr. 2009 Jan;5(1):75-85. 24. Elliott CD. Sweet and salty: nutritional content and analysis of baby and toddler foods. J Public Health (Oxf). 2011 Mar;33(1):63-70. 25. Wright CM et al. How do toddler eating problems relate to their eating behavior, food preferences, and growth? Pediatrics. 2007 Oct;120(4):e1069-75. 26. Dovey TM et al. . Food neophobia and ‘picky/fussy’ eating in children: a review. Appetite. 2008 Mar-May;50(2-3):181-93. 27. Cooke L. The importance of exposure for healthy eating in childhood: a review. J Hum Nutr Diet. 2007 Aug;20(4):294-301. 1. Dewey KG et al. Effects of exclusive breastfeeding for 4 versus 6 months on maternal nutritional status and infant motor development: results of two randomized trials in Honduras. J Nutr 2001;131:262-7. 2. Platt M. Demand weaning: infants’ answer to professionals’ dilemmas. Arch Dis Child 2009;94:79-80. 3. Kramer MS et al. The optimal duration of exclusive breastfeeding: a systematic review.Geneva, World Health Organization, 2001. 4. Kramer MS et al. Optimal duration of exclusive breastfeeding. Cochrane Database of Systematic Reviews 2002, Issue 1. Art. No. : CD003517. 5. Naylor AJ et al. Developmental readiness of normal full term infants to progress from exclusive breastfeeding to the introduction of complementary foods. Linkages/Wellstart International, 2001. 6. Shim JE et al. Associations of Infant Feeding Practices and Picky Eating Behaviors of Preschool Children. J Am Diet Assoc. 2011 Sep;111(9):1363-1368. 1. Lande B et al. Breast-feeding at 12 months of age and dietary habits among breast-fed and non-breast-fed infants. Public Health Nutr. 2004;7(4):495-503. 2. Catherine A. et al. Early Determinants of Fruit and Vegetable Acceptance . PediatricsVol. 120 No. 6 2007, pp. 1247-1254. 4. Mandel D et al. Fat and energy contents of expressed human breast milk in prolonged lactation. Pediatrics.2005;116(3):e432-5. 5. Mennella JA et al. (2001) Prenatal and postnatal flavor learning by human infants. Pediatrics. 2001;107(6):E88. 6. Hausner H et al. Breastfeeding facilitates acceptance of a novel dietary flavour compound. ClinNutr. 2010;29(1):141-8. 7. Στέλιος Παπαβέντσης. Επιστροφή στο μητρικό θηλασμό. Εκδόσεις Πατάκη, Αθήνα 2011. 8. De Kroon ML et al. The Terneuzen Birth Cohort. Longer exclusive breastfeeding duration is associated with leaner body mass and a healthier diet in young adulthood. BMC Pediatr. 2011 May 10;11(1):33. 1. Ελένη Γάκη, Δημήτρης Παπαμιχαήλ, Γιασεμή Σαραφίδου, Τάκης Παναγιωτόπουλος, Ιωάννα Αντωνιάδου-Κουμάτου. Εθνική Μελέτη Συχνότητας Και Προσδιοριστικών Παραγόντων Μητρικού Θηλασμού. Ινστιτούτο Υγείας του Παιδιού, Αθήνα, 2009. 2. American Academy of Pediatrics, American Heart Association, Samuel S G et al. Dietary Recommendations for Children and Adolescents: A Guide for Practitioners. Pediatrics 2006; 117: 544 – 559. 3. Nielsen SJ et al. Patterns and trends in food portion sizes, 1977–1998. JAMA. 2003;289 :450 –453. 4. Linardakis M et al. Sugar-added beverages consumption among kindergarten children of Crete: effects on nutritional status and risk of obesity. BMC Public Health. 2008 Aug 6;8:279. 5. Παπαβέντσης Στέλιος. Προικισμένα μωρά εμπνευσμένοι γονείς: για μια άλλη προσχολική διατροφή. Εκδόσεις Πατάκη, Αθήνα, 2010. 6. Elliott CD et al. Sweet and salty: nutritional content and analysis of baby and toddler foods. J Public Health (Oxf). 2011 Mar;33(1):63-70. Epub 2010 Jun 1. 7. Wright CM et al. How do toddler eating problems relate to their eating behavior, food preferences, and growth? Pediatrics. 2007 Oct;120(4):e1069-75. 8. Dovey TM et al. Food neophobia and ‘picky/fussy’ eating in children: a review. Appetite. 2008 Mar-May;50(2-3):181-93. Epub 2007 Sep 29. 9. Cooke L. The importance of exposure for healthy eating in childhood: a review. J Hum Nutr Diet. 2007 Aug;20(4):294-301. 10. Scaglioni S et al. Influence of parental attitudes in the development of children eating behaviour. Br J Nutr. 2008 Feb;99 Suppl 1:S22-5. 11. Gabrielle Palmer. Complementary Feeding: Nutrition, Culture and Politics. Pinter & Martin Ltd Publishing 2011. 12. Βαζαίου Α. Διατροφή παιδιών προσχολικής ηλικίας μετά το πρώτο έτος της ζωής και σχέση αυτής με παχυσαρκία. 38ο Πανελλήνιο Συνέδριο Ενδοκρινολογίας, 2011. 13. Mossop B. Can we be trained to like healthy foods? Scientific American J, July 13 2011. 14. Bouhlal S et al. The impact of salt, fat and sugar levels on toddler food intake. Br J Nutr. 2011 Feb;105(4):645-53. 15.ButteNF et al. Nutrient intakes of US infants, toddlers, and preschoolers meet or exceed dietary reference intakes. J Am Diet Assoc. 2010 Dec;110(12 Suppl):S27-37. 1. Wardle J et al. Parental control over feeding and children’s fruit and vegetable intake: how are they related? J Am Diet Assoc. 2005 Feb;105(2):227-32. 2. Rapley, G. Baby-led weaning, a developmental approach to the introduction of complementary foods. Quay Books, London, 2006. 3. Benton D. Role of parents in the determination of the food preferences of children and the development of obesity. Int J Obes Relat Metab Disord. 2004 Jul;28(7):858-69. 4. Rapley G. Baby-led weaning: transitioning to solid foods at the baby’s own pace. Community Pract. 2011 Jun;84(6):20-3. 3. Coulthard H et al. Delayed introduction of lumpy foods to children during the complementary feeding period affects child’s food acceptance and feeding at 7 years of age. Matern Child Nutr. 2009 Jan;5(1):75-85. 1. Palou A. et al. Leptin intake during lactation prevents obesity and affects food intake and food preferences in later life. Appetite. 2009 Feb;52(1):249-52. 2. Miralles O et al. A physiological role of breast milk leptin in body weight control in developing infants. Obesity (Silver Spring). 2006 Aug;14(8):1371-7. 3. Savino F et al. Update on breast milk hormones: leptin, ghrelin and adiponectin. Clin Nutr. 2008 Feb;27(1):42-7. 1. Li R. et al. Association of breastfeeding intensity and bottle-emptying behaviors at early infancy with infants’ risk for excess weight at late infancy. Pediatrics. 2008 Oct;122Suppl 2:S77-84. 2. de Holanda AL et al. Relationship between breast- and bottle-feeding and non-nutritive sucking habits. Oral Health Prev Dent. 2009;7(4):331-7. 3. Barbosa C et al. The relationship of bottle feeding and other sucking behaviors with speech disorder in Patagonian preschoolers. BMC Pediatr. 2009;9:66. 4. Viggiano D et al. Breast feeding, bottle feeding, and non-nutritive sucking; effects on occlusion in deciduous dentition. Arch Dis Child. 2004;89(12):1121-3. 5. Sánchez-Molins M et al. Comparative study of the craniofacial growth depending on the type of lactation received. Eur J PaediatrDent. 2010;11(2):87-92. 6. Montgomery-Downs HE et al. Infant-Feeding Methods and Childhood Sleep-Disordered Breathing. Pediatrics 2007; 120: 1030 – 1035. 7. Palmer B. Snoring and sleep apnoea: how it can be prevented in childhood. Breastfeed Rev. 2006;14(2):11- 14. 8. Moimaz SA et al. Association between breast-feeding practices and sucking habits: a cross-sectional study of children in their first year of life. J Indian Soc Pedod Prev Dent. 2008;26(3):102-6. 9. Robke FJ et al. Effects of nursing bottle misuse on oral health. Prevalence of caries, tooth malalignments and malocclusions in North-German preschool children. J Orofac Orthop. 2008;69(1):5-19. 10. Raymond JL et al. Influence of feeding method on maxillofacial development. Orthod Fr. 2006;77(1):101-3. 11. Carrascoza KC et al. Consequences of bottle-feeding to the oral facial development of initially breastfed children. J Pediatr (Rio J). 2006;82(5):395-7. 12. Kobayashi HM et al. Relationship between breastfeeding duration and prevalence of posterior crossbite in the deciduous dentition. Am J Orthod Dento facial Orthop. 2010;137(1):54-8. 14. Romero CC et al. . Breastfeeding and non-nutritive sucking patterns related to the prevalence of anterior open bite in primary dentition. J Appl Oral Sci. 2011 Apr;19(2):161-8. 1. Kirsi M et al. Fish Consumption During the First Year of Life and Development of Allergic Diseases During Childhood. Pediatrics, Nov 2007; 120: S109. 2. Mennella JA et al. Variety is the spice of life: strategies for promoting fruit and vegetable acceptance during infancy. Physiol Behav. 2008 Apr 22;94(1):29-38. 3. Lazarou C. et al. Lifestyle factors are determinants of children’s blood pressure levels: the CYKIDS study. J Hum Hypertens.2008 Dec 18. 4. Robinson SM et al. Variations in infant feeding practice are associated with body composition in childhood: a prospective cohort study. J Clin Endocrinol Metab.2009;94(8):2799-805. 5. Weyermann M et al. Duration of breastfeeding and risk of overweight in childhood: a prospective birth cohort study from Germany. Int J Obes (Lond). 2006;30(8):1281-7. 7. Harder T et al. Duration of breastfeeding and risk of overweight: A meta-analysis. Am J Epidemiol. 2005; 162: 397-403. 13. Kafatos A et al. Obesity in childhood: the Greek experience. World Rev Nutr Diet. 2005;94:27-35. 1. Briefel R. et al. Feeding Infants and Toddlers Study: do vitamin and mineral supplements contribute to nutrient adequacy or excess among US infants and toddlers? J Am Diet Assoc. 2006 Jan;106(1 Suppl 1):S52-65. 2. Wooltorton E. et al. Too much of a good thing? Toxic effects of vitamin and mineral supplements.CMAJ.2003 Jul 8;169(1):47-8. 3. Dragsted LO et al. The 6-a-day study: effects of fruit and vegetables on markers of oxidative stress and antioxidativedefense in healthy nonsmokers. Am J Clin Nutr. 2004 Jun;79(6):1060-72. 4. McCunn D. et al. Food additives and hyperactive behaviour in 3-year-old and 8/9-year-old children in the community: a randomised, double-blinded, placebo-controlled trial. Lancet. 2007 Nov 3;370(9598):1560-7. 5. Bateman B. et al. The effects of a double blind, placebo controlled, artificial food colourings and benzoate preservative challenge on hyperactivity in a general population sample of preschool children. Arch Dis Child. 2004 Jun;89(6):506-11. 6. Dona A. et al. Health risks of genetically modified foods. Crit Rev Food Sci Nutr.2009 Feb;49(2):164-75. 7. Pusztai A. et al. Can science give us the tools for recognizing possible health risks of GM food? Nutr Health. 2002;16(2):73-84. 8. Varzakas TH et al. Approaches in the risk assessment of genetically modified foods by the Hellenic Food Safety Authority. Food ChemToxicol. 2007 Apr;45(4):530-42. 1. Sofi F. et al. Adherence to Mediterranean diet and health status: meta-analysis. BMJ. 2008 Sep 11;337:a1344. doi: 10.1136/bmj.a1344. 2. de Lorgeril M. et al. The Mediterranean-style diet for the prevention of cardiovascular diseases. Public Health Nutr.2006 Feb;9(1A):118-23. 4. Kontogianni MD et al. Adherence rates to the Mediterranean diet are low in a representative sample of Greek children and adolescents. J Nutr. 2008 Oct;138(10):1951-6. 5. Kafatos A et al. Mediterranean diet ofCrete: foods and nutrient content. J Am Diet Assoc. 2000 Dec;100(12):1487-93. 1. Kavey RE et al. American Heart Association guidelines for primary prevention of atherosclerotic cardiovascular disease beginning in childhood. Circulation. 2003;107 :1562 –1566. 2. World Health Organization. Global Strategy for Infant and Young Child Feeding. WHO, Geneva, 2003. 3. Department of Nutrition for Health and Development, World Health Organisation (WHO). Complementary feeding: Family foods for breastfed children. 2000. 4. World Health Organization. Guiding principles for complementary feeding of the breastfed child. WHO, Geneva; 2004. 5. World Health Organization. Guiding principles for complementary feeding of the nonbreastfed child 6 – 24 months of age. WHO, Geneva, 2005. 6. World Health Organization. Infant and young child feeding : model chapter for textbooks for medical students and allied health professionals. WHO, Geneva, 2009. 7. World Health Organization. Infant And Young Child Feeding Counselling: an Integrated Course. WHO, Geneva, 2007. 9.U.S. Department of Health and Human Services. The Surgeon General’s Call to Action to Support Breastfeeding.Washington,DC:U.S. Department of Health and Human Services, Office of the Surgeon General; 2011. 1. Coombes Ret al. UKadopts growth charts based on data from breastfed babies. BMJ. 2009;338:b1892. 2. WHO. Child growth standards: child catalogue. Geneva, World Health Organization, 2005. 3. De Onis M et al. WHO growth standards for infants and young children. Arch Pediatr.2009;16(1):47-53.
pzaro 2015. Θέμα Απλό. Εικόνες θέματος από gaffera. Από το Blogger.